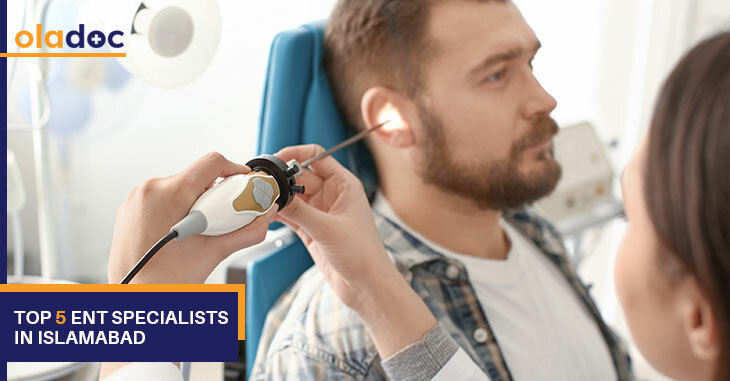 ENT specialists are doctors that treat medical and surgical diseases of ear, nose and throat. They can also be proficient in facial cosmetic surgery and reconstructive surgery, such as rhinoplasty, cleft palate, drooping eyelids, ear deformities, trauma reconstruction, and even neck cancer reconstruction. Dr. Khizer Hameed has been successfully treating diseases of the ear, nose and throat for 25 years. He provides successful surgical management of thyroid diseases, ear surgery, nasal surgery, head & neck tumors for both adults and children. For his accomplishments as a surgeon, he was also awarded Sitara-e-Imtiaz (M) in 2015. He is an MCPS and FCPS surgeon, with a membership is PSORL. He is currently available as a practitioner in NESCOM Hospital, in H-11. Dr. Baig has an experience of over 3 decades in being an ENT specialist. He is an expert in treating tonsil infection, ENT cancers, hearing disabilities, cosmetic nasal surgery, ear infections and sinus issues. He holds an MBBS degree from King Edward Medical University, one of the most prestigious medical universities of Asia. His postgraduate includes an MCPS and FCPS. He can be reached for appointment through oladoc.com, or at Zainab Medical & Diagnostic Center, in PWD society. With an FCPS in ENT, Dr. Muhammad Ali is another ENT specialist who offers his expertise for pediatric population as well. He offers treatment for adenoids in children, ear drum rupture, diphtheria infections, allergies and many other ailments. He has set up his clinic in Khyber Medical Center, in G-9 markaz. An appointment with him can also be set easily through oladoc.com. Dr. Qureshi is another highly skilled and qualified ENT specialist in Islamabad. His degrees include: MBBS, FRCS, FICS, FAACS. He is readily available for appointment, and can be reached at Islamabad Specialists Clinic, in F-8 markaz. Another highly experienced ENT specialist in Islamabad is Dr. Iftikhar Aslam. He has an experience of 27 years in this field. He offers treatment for nose and sinus infections, ear discharge, head & neck cancers, nose allergy issues amongst many others. His educational accomplishments include an MBBS and FCPS degree. He is available for consultancy at Quaid-e-Azam International Hospital, Hillal road. You can book an appointment with top ENT specialists in Islamabad, Lahore and Karachi through oladoc.com, or call our helpline at 042-3890-0939 for assistance to find the RIGHT Doctor for your concerns.